Our guided e-learning service, Celtic Online, is available to all of our students. 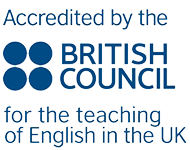 All students enrolled on a course at Celtic English Academy will have access to Celtic Online, our guided e-learning service. It is a great way to practise your English outside the classroom. Before you arrive you will receive your username and password to login to your account. You will be able to access your account 1 week before and up to 3 months after the end of your course. Get a personalised study plan at any level. Improve your grammar and work on weak areas with lots of different grammar exercises at different levels. Improve your listening and reading skills with lots of different reading and listening exercises to choose from. Practise for FCE, CAE, CPE or IELTS exams. Find out about social activities. There are lots of other great websites which can help you improve your English outside the classroom.